At Baxter Volkswagen La Vista, we strive to give our community and neighbors a better kind of dealership. We believe you deserve the ultimate car-buying experience, so we’ve created an honest, upfront and personal approach to doing business. You’ll never find forceful sales tactics at our Nebraska VW dealership because we know the value in delivering professional, quality service. Our team understands that every customer is unique, which is why we’ll always take the time to get to know you before looking to assist you. Our customer-oriented philosophy has even won us the prestigious Customer First Club Award, proving our dedication to our customers and signaling Baxter Volkswagen La Vista as an industry leader in customer satisfaction! When you choose our Volkswagen dealership in La Vista, NE, you’ll be able to shop a wide selection of new, used and Certified Pre-Owned Volkswagen models, so you’ll never struggle to find exactly what you’re looking for on our lot. We love the Volkswagen brand, so we’re happy to pair you with the perfect Volkswagen model for your lifestyle and budget. We’ll even help you save on your next new VW with our exclusive Volkswagen discounts. We truly believe in our community, so we’ll do anything we can to deliver the outstanding car-buying or -repairing experience you deserve! Looking for More Reasons Why You Should Buy from Baxter Volkswagen La Vista? We know buying or leasing a new Volkswagen is a big investment, so we look to help you protect it with exclusive VW Protection Plans like Lease-End Protection and Multi-Coverage Protection. We’re always looking to improve our used Volkswagen inventory, so we’re happy to buy your used car — we buy any make or model! Servicing your VW will never be inconvenient with us because we offer extended service hours, Saturday service appointments and a free shuttle service. If you want to stay at our dealership while your Volkswagen is being serviced, you can relax comfortably in our customer lounge, which comes complete with complimentary iPads, Wi-Fi, TV, refreshments and snacks. When you buy a CPO Volkswagen from us, you’ll benefit from exclusive VW CPO perks like a complimentary 2-year/24,000-mile Limited Warranty, 24-Hour Roadside Assistance, 100+ Point Dealer Inspection and more! 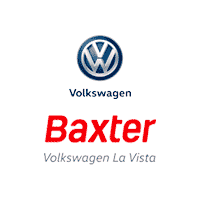 Experience the Baxter difference today and shop Baxter Volkswagen La Vista!